Hey to all of you quality score lovers! We’re back with some awesome news and updates regarding new reporting columns that are now available for all advertisers. 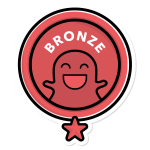 This new development relates to my previous post about “How to improve your quality score”, so if you haven’t read it yet – now is the perfect time! Back to innovation – Google has recently released an easy way to track your quality score components with much more visibility, in a way that helps us optimize keywords’ quality scores like never before. Well, the change itself is not something you will suddenly feel, but for the ones among us who are optimizing quality score results on a daily basis, it’s quite a game changer. I’ll explain – back in the old days, we did not have such a convenient way to view our quality score parameters and optimize them. We had to hover over the speech bubble next to a particular keyword’s status to see details about that keyword’s QS, and then we had to remember these details and act accordingly. You’re right – not so 2017. No more! 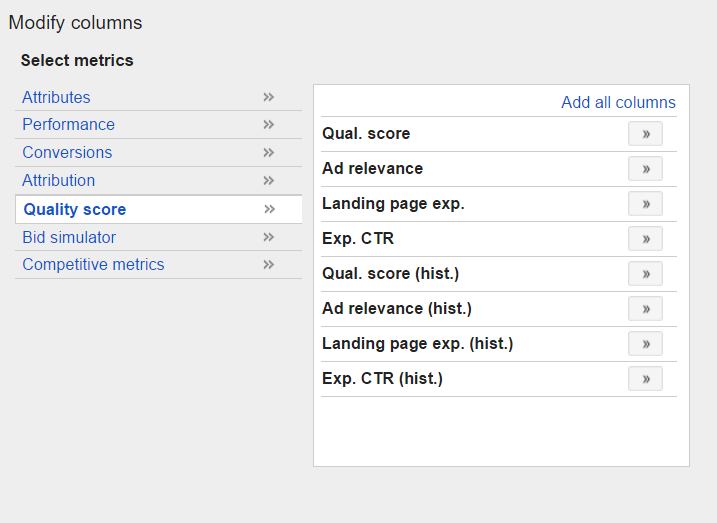 AdWords has taken its quality score reports to the next level! All parameters are now available to implement in the reporting columns you’re already using. You can now simply add and check your quality score components in the same manner as you’ve been checking your “cost” or “conversions” metrics. Also, you can add reporting columns for parameters’ historical data and compare historic results to the ones you’re getting today. Before this change, this process was quite complex – the above options, along with the ability to see the breakdown of your quality scores, were only available through certain scripts, rather than displayed within the AdWords dashboard as they are today. With the introduction of these new columns, it’s now simpler than ever to understand the impact of the changes you’ve made. Another main benefit is that you’re now able to check quality score parameters in a more practical way by extracting all data to your reports and Excel spreadsheets. This gives the option to fully analyze these parameters in a much more precise way. No more trying to remember if your keywords are “above” or “below” average – today you can track your keywords’ exact status, compare it to previous time frames and make changes accordingly. Monitoring your quality score data has never been easier! You must act on this new opportunity when optimizing keywords by isolating the weaknesses in your parameters to improve your quality score results. Select the Keywords tab within a particular ad group. 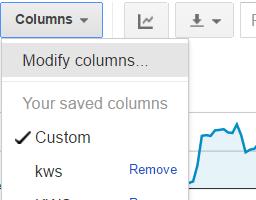 Click the Columns drop-down menu in the toolbar. And there you go – all the parameters available to add. Simply choose and organize them in the way that is most convenient for you and click Apply.